Macrium Reflect helps users, even the inexperienced ones, to protect their computer from a possible crash by backing up their system in a very easy manner. Macrium Reflect is a program that backs up the system, in a easy manner. It creates images (Ghost) or disk images of the system, copies, compress and records the entire PC on a partition, or on a storage medium, for a recovery from a crash. It is possible to provide backup and recovery with simple clicks. More advanced users will benefit from export opportunities in xml format and management of Visual Basic scripts. Modules with password protection and restoration are also included. The application supports most storage devices (CD, DVD, USB flash drive, removable hard drive) as well as NTFS, FAT and ext2 systems. Automatically regular backups can be scheduled using the planning function. 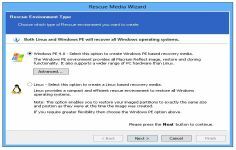 Curently we don't have any log information about Macrium Reflect version 7.2.4156 Disaster Recovery Tools for PC Windows. We will this change log update soon!